Astronaut Barry Wilmore needed a socket wrench, but there was just one problem. Wilmore is currently on the ISS, over 200 miles above the nearest hardware store. So, what did NASA do? Easy, they emailed him one. But, how do you email a socket wrench into space? The story starts back in November, when Wilmore put together the ISS's very first 3D printer, a collaboration between NASA and company Made In Space. About a month later, Wilmore noted to mission control that a socket wrench would be helpful to have. Instead of putting it on the supply list, however, Made In Space mocked up a quick model on CAD on Earth and emailed the design to Wilmore, who ran the designs through the printer and assembled the 20 separate parts into the exact socket wrench he had requested. 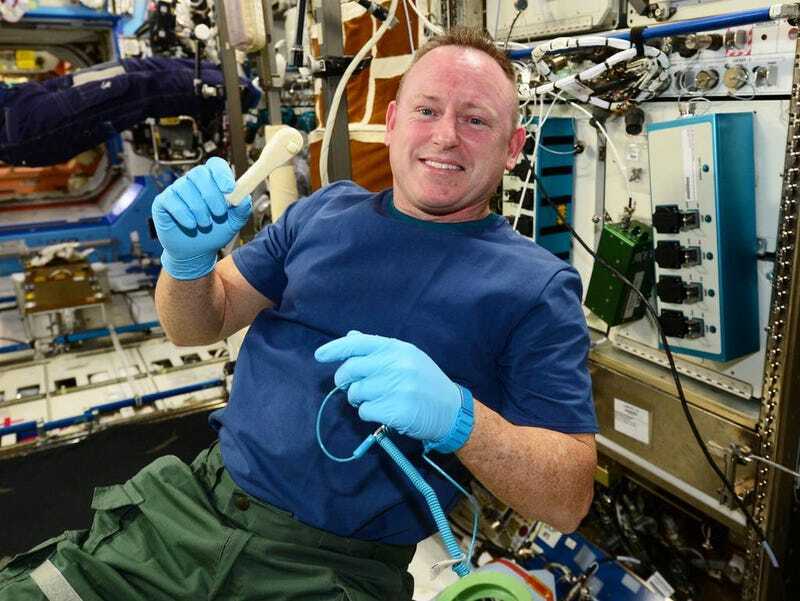 It's the first — though surely not the last — time a 3D printer in space has been used to make a tool.